Well known contemporary painter Gurpreet Bathinda recently (January 2016) painted Bhootwara in India’s Miniature style. Bhootwara, now a legend, was a unique literary centre in Patiala of the sixties Punjab. The painting captures the essence of Bhootwara (literally a ghost house) surprisingly well. Great work! 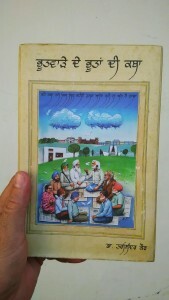 Below is the painting and a comment by Gurpreet. So… Friends, enjoy my new work on ‘Bhootwara’. I did it in Indian Miniature style. I found only this style suitable for Bhootwara as it has become a legend in Punjabi Literature as well as like a mythical story! Many stories are being published about it in magazines and books. Here in this painting I have shown all ‘Bhoots’ busy in sharing ‘kathas'(Stories). Top stories are flying like clouds in the form of birds. few bird like stories are roaming in bhoots, one is being shared by Laali baba, another is sitting on Harinder Mehboob’s Head ! 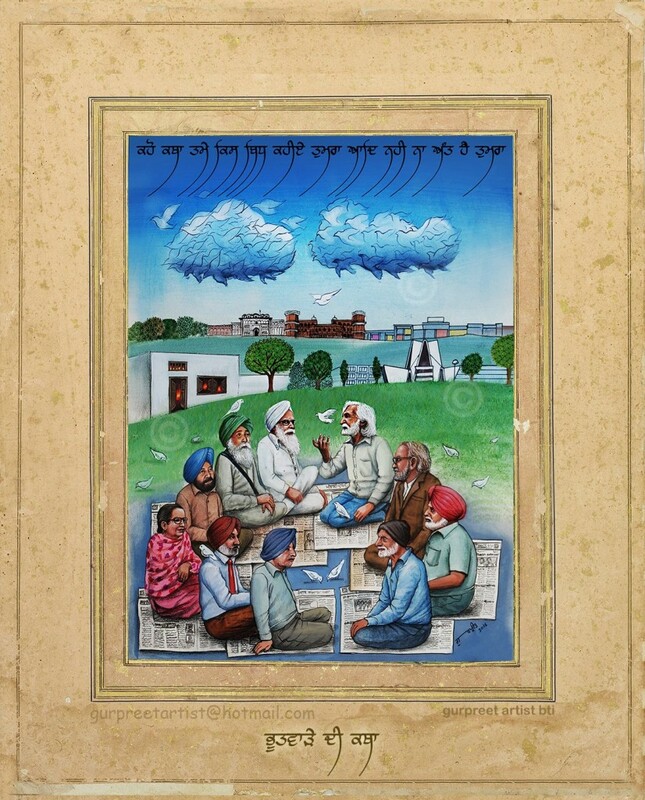 Bhoots shown are Navtej Bharati, Laali Baba, Ajmer Rode, Sutinder Singh Noor, Prem Pali, Gurbhagat, Kulwant Garewal, Dalip K Tiwana, Surjeet Lee and Harinder Mehboob!